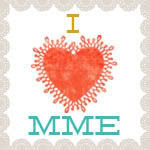 I bought this pretty stamp by Inkadinkado the other day from AC Moore for $2. I couldn't resist, lol!! Anyway, I saw today's color challenge on http://www.splitcoaststampers.com/forums/color-combinations-f43/cc479-crisp-pistachio-garden-5-20-2014-a-t587803.html and wanted to play along. The colors are beautiful! 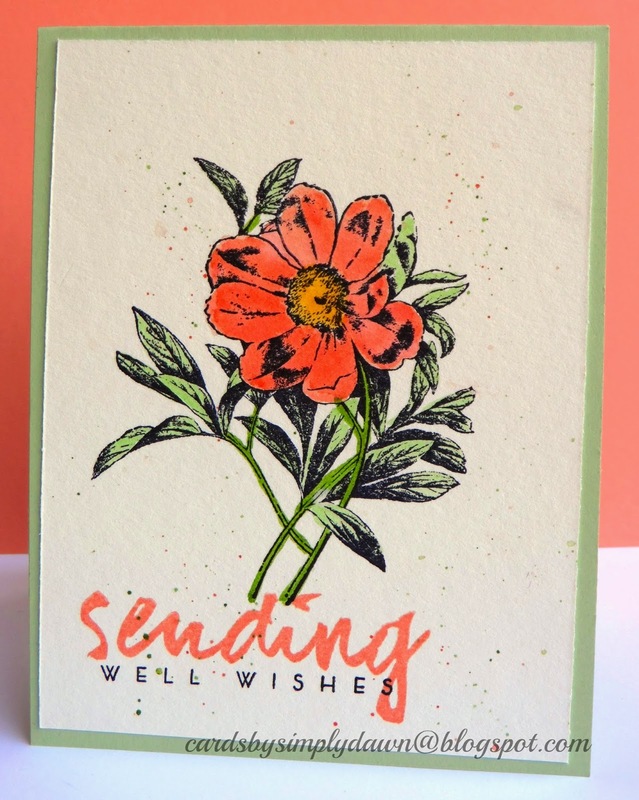 I stamped my flower using archival ink then watercolored it using crisp cantaloupe, pisctachio pudding and wild wasabi as I didn't have any garden green. I added a little bit of more mustard to the center and then some very fine ink splatters. I stamped my sentiment from my new Papertrey Ink set Wet Paint III, which is a fabulous new artsy sentiment set and mounted it onto a pistachio pudding card base. I actually made 2 other cards for today's challenge, but the first one I used the wrong colors, lol! I used calypso coral instead of the crisp cantaloupe. Oops! Anyway, that's it for now. I hope to post my other cards tomorrow, if not later this evening. Thanks for stopping by!